More than simply a cult classic, Persona has become one of the most recognizable names in the JRPG genre for quite some time. Starting out as a spinoff from the Megami Tensei, or MegaTen, franchise, the Persona series have dealt less with the apocalypse setting of its mother series and more so on stories centered around school age students and demonic influence. It’s been nearly nine years since Persona 4 graced the PlayStation 2 with critical appeal and the latest offering, Persona 5, aims to reclaim the crown of being the most stylish JRPG on PlayStation. Persona 5’s story delves deep into the masks that society wears in both public and private life, and the lengths people go through to hide their true selves. As a student wrongly accused of criminal activity after being a good samaritan, the player takes up the role of a nameless character that’s casually referred to as a Japanese Harry Potter by fans. Starting life at a new school, especially with the stigma of being branded an uncouth criminal, is never easy and players have to endure that prejudice long before the formation of the Phantom Thieves of Hearts. Contrary to the murder mystery that centered around Persona 4’s story, Persona 5 deals with the fallout from an unsuccessful heist that begins the narrative and the events leading up to that fateful day. Told from the main character’s perspective, the narrative follows among some of the likes of Bryan Singer’s The Usual Suspects, shifting back and forth between these two timelines in the midst of an interrogation. It’s a trope that’s rarely seen in Japanese role-playing games and feels refreshingly unique among contemporaries in the genre. 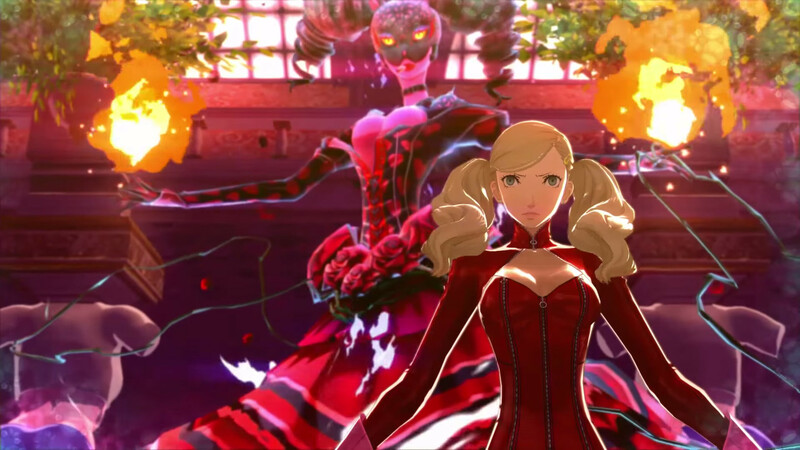 The core of Persona 5’s story is centered around those dual-personas that society wears. Every Confidant, Persona 5’s version of Social Links, has to deal with the stigmas that society has labeled them and it’s up to building a relationship with the main character to uncover which persona is the truth. A personal favorite confidant of mine is a certain someone in the main character’s daily life that has to moonlight as a maid that performs adult-themed services on the side only to discover that they’re having to work to send money home to their family. 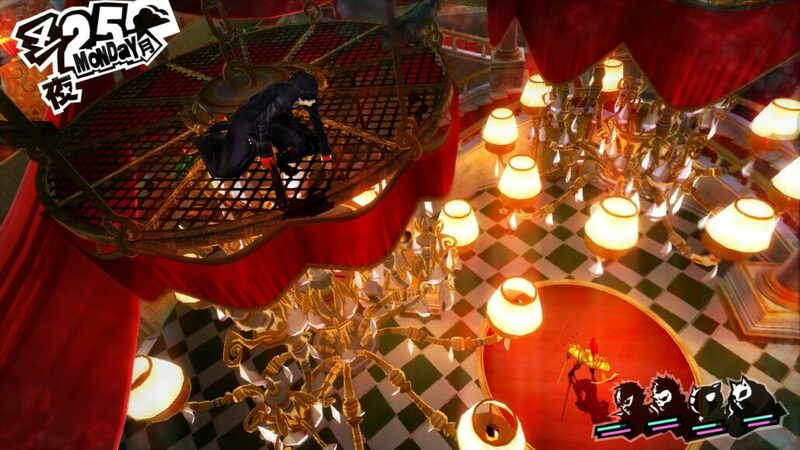 By spending time with these confidants, many of whom are party members or otherwise important figures in the main character’s daily life, the player will grow closer to them and learn a bit more about their true sides. Everything about Persona 5 is etched in style unlike any other. It might be such a minor thing in another game, but Persona 5 is deserving of high praise simply for its flashy menu design. No dull text boxes within Shujin Academy. Instead, everything has been touched with street art that animates fluidly and is quite impressive no matter how many times you have to dive into the menus to cast a quick recovery spell or check on that day’s plans. Shoji Meguro’s distinctive guitar riffs make up most of the soundtrack as the Phantom Thieves make their mark on the unknowing townships. Persona 5’s soundtrack features a surprising number of vocal tracks with plenty of variation depending on the time of day or events going on. While the soundtrack might not have as many memorable hits like ‘Burn Your Dread’ or ‘Reach Out to the Truth’, there are some beats that will stick with the player long after their final heist. The song that plays as the Phantom Thieves prepare for the final planning phases of each treasure theft, Life Will Change, immediately fills me with hype and energy any time it kicks on. In a recurring theme of the Persona series, the main character is the only member that has access to multiple personas, or masks in Persona 5’s case. In order to unlock new persona, that comes from one of two ways. The first is the most common, which is to negotiate with the enemy and convince them to join your fighting force. As one of the more drastic changes to the combat system over the fourth game, talks typically won’t happen until every enemy is knocked down (in what is referred to as a Hold Up) rather than engaging in some negotiations at the player’s discretion. From there, players can choose to bargain with the enemy to either have them join forces and become the main character’s usable persona or extort for a bit of extra cash or items. The other way to recruit new persona is through the fusion system that’s been in place since the third Persona title. By fusing two persona together, the result typically results in a higher level demon that can carry over a small number of skills from the materials used. Each persona belongs to a particular arcana, affecting the rules of how fusions can result. In addition, leveling up an arcana can imbue the fused demon with a helpful experience boost. 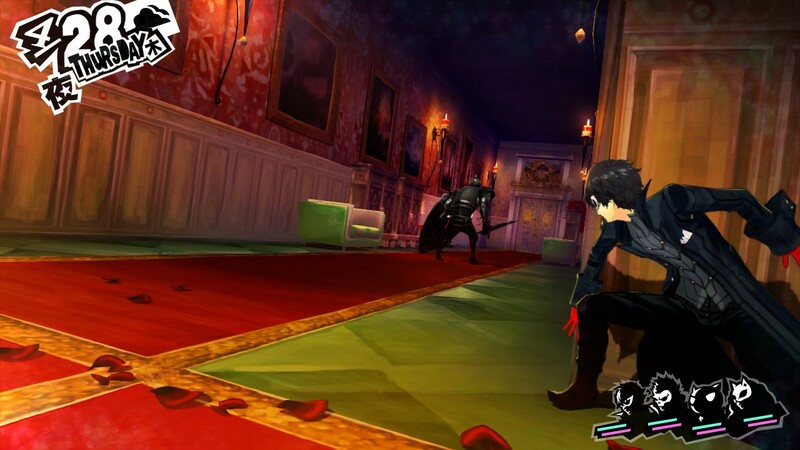 With only a limited amount of time to train up the rogues band of Phantom Thieves and mark their mark, the time that players can invest into exploring the major dungeons and lesser arenas, known as Mementos, to engage in a little demon persuasion. The days are barely numerous enough to balance both maxing out every confidant’s social link AND hit the streets. As the calendar days pass by, more and more events open up, each vying for the main character’s free time. With only a limited number of days of freedom available to the main character, juggling the day-to-day activities becomes a ritual upon itself and it isn’t uncommon to have a few friends calling to hang out on the same afternoon. If it weren’t for the few dungeon crawls that help propelling the narrative, I’d almost say Persona 5 would be an excellent visual novel on its own merits. Even if the RPG battles were stripped away, the story is compelling on its own to enjoy. The Confidant and social stat mechanics feel right at home in the likes of a high-budget dating sim. I daresay that my hours with Persona 5 fit this perfectly, as I spent perhaps a quarter of my time in live combat and dungeon spelunking. Those looking for constant battles might be disappointed, but the tactical use of battles helps to spice up the daily activities. It’s been a long time since I’ve been able to metaphorically unwrap a new Persona title and I can confidently say that it was worth the wait. There’s something special about the stylish role-playing game series that no other RPG maker can come close to emulating (although Mind-Zero certainly tried). While the battles take a backseat to the story in Persona 5, it’s that daring tale of phantom thieves that keeps drawing me back in. Now that I’ve finally ripped myself away from the PS4 long enough to pen the review, I can’t wait to put the mask back on and steal a few more hearts. Reviewed on PlayStation 4 (copy provided by the publisher). You can buy it for PlayStation 4 or PlayStation 3 via Amazon. Surpassing its predecessors in every way, Persona 5 redefines the Japanese RPG with a stylish band of rogues that should please any fan of the genre.